Perhaps one of the most refreshing parts of blogging regularly is the very devoted readers and friends that keep me loaded up on ideas and products that I may not know about. 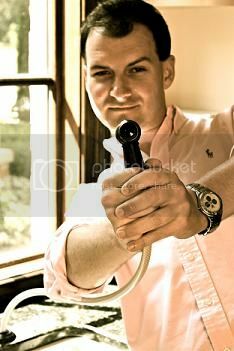 Thanks to my dear friend(and reader) Greg for sending me a link to the OfficePod back in early December of 2010. 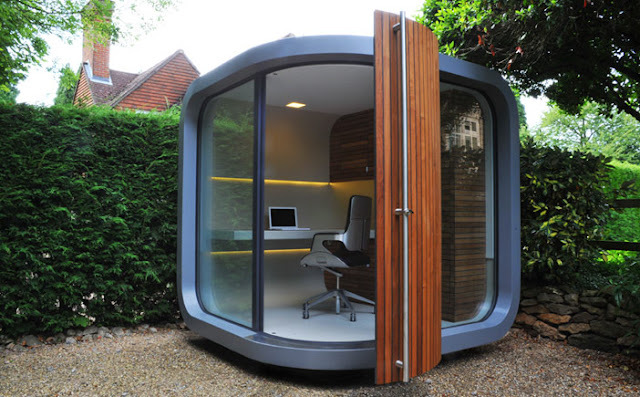 The OfficePod is the self-appointed "next generation of workplace". At first, the line seems a bit over the top and cliche'. Once I did my research and thought long and hard about my personal work habits, the concept is pure genius. While I can't speak for you out there in blog-land, I work as much at home as I do at the office. I'm fortunate to not need a full-blown home office(though it would nice) and usually just take up a nice little spot at my kitchen bar with the laptop and the project du jour. If company is expected, I tuck away my things and act like I only use my eating and living area for eating and living. For my space, a home office isn't practical(translation: I don't have the space). Though I enjoy moderately small living, the idea of a separate space(away from living areas) for working is appealing. OfficePod is a concept that is taking the "work from home" idea to new places. With the global working community shrinking thanks to giant leaps in technology, it isn't out of the ordinary for more and more people lack the necessity of being in a formal office setting. Typically, the day to day distractions of home-life prevent the quality work that is necessary and having an "extra building" brings that productivity back to reality. The folks at OfficePod tout a 46-67% reduction in CO2 footprints for average users- when you think about it, the commutes that we make and heating/cooling costs in an office add up quickly. From a design perspective, the OfficePod is constructed with few man-made items. 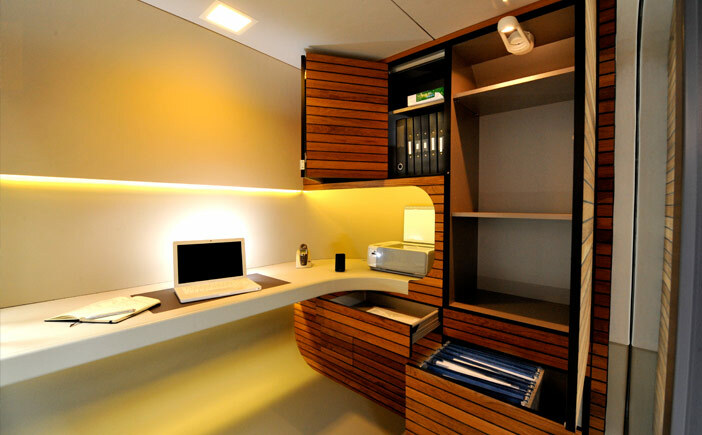 The company strives to use recycled, renewable and environmentally responsible products throughout. 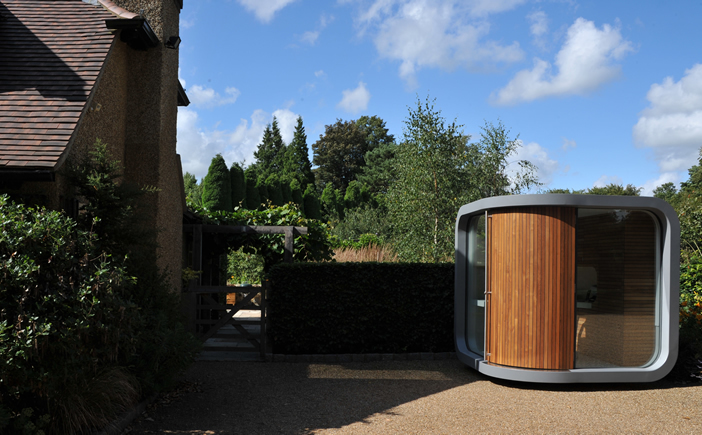 The modular structure is a quick install and takes up a small footprint, fitting easily and smoothly in to a quaint backyard or garden. Tired of the view at work? What if your office window looked out over your rose garden(or in more rural cases like ours, a cow pasture)? 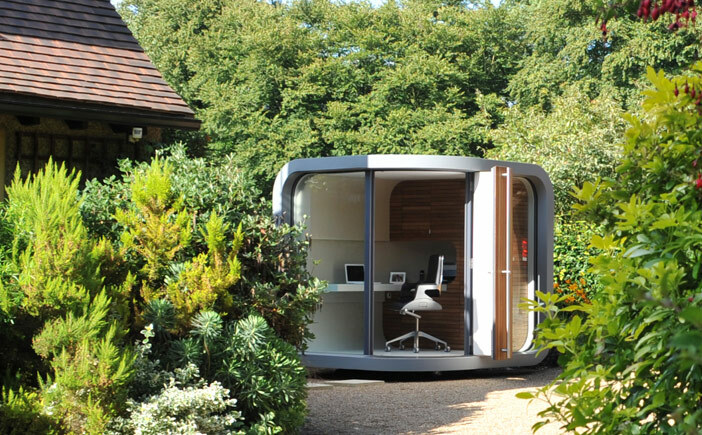 The OfficePod is still across the pond(Great Britain), for now. 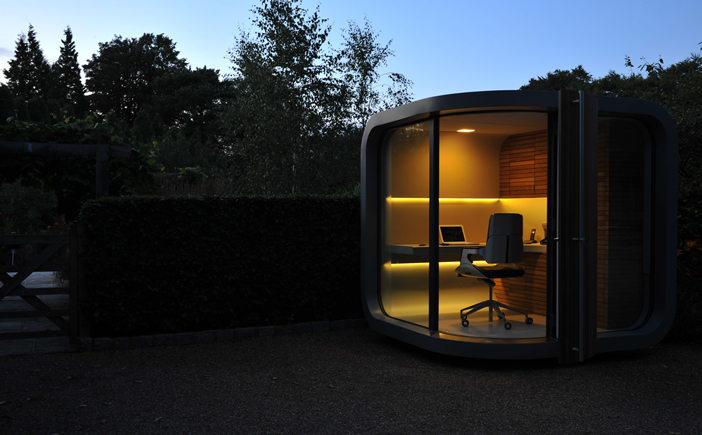 Don't be surprised to see Americans embrace the OfficePod once it hits U.S. soil. Check out their site: Really neat stuff. Do you think I could squeeze a bakery up into that thing?